To recycle old electronics professionally in Laguna Niguel, California, let All Green Electronics Recycling help you. We have the best Electronics Recycling solutions for you. We crafted our services just for your satisfaction. Try our IT Asset Disposition if you want to make sure that all of your IT disposables will be treated based on standards. Deleting the sensitive files permanently is the expertise of All Green Recycling. We are in this industry for many years. Let us serve you with our secure Equipment Destruction service. We assure to provide 100% satisfaction. Today, we have to give importance in recovering, recycling, and reselling electronics as e-waste problems in the world have been alarming for the past years. Every one of us must be involved in this drive. You are using a cellular phone, aren’t you? Because of this fact, you are part of the problem that must be addressed efficiently. According to Earth911, the EPA estimated that out of the 3.4 million tons produced in 2011, only 25 percent was recycled responsibly. The rest ended up in the landfills and incinerators. It must be prevented. If not, we will all suffer the full extent of the e-waste negative impacts in no time. In this location, you must try the Electronics Recycling Laguna Niguel Services that All Green Recycling has offered. We designed this solution that will help you repurpose your end-of-life IT equipment. Schedule an e-waste pickup service today by following the link below. Laguna Niguel is a suburban city that is part of Orange County. 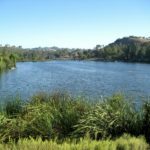 Its name is coined from the word “Laguna” which means lagoon in Spanish and from the term “Niguili” which is a name of a Native American village in Aliso Creek. Based on 2010 population survey, the population here had reached 62,979. It is particularly located in the San Joaquin Hill. Its borders are the cities of Dana Point, Aliso Viejo, Laguna Hills, Laguna Beach, San Juan Capistrano, and Mission Viejo. We value your IT assets because we know they still have a purpose. If you have old computers, laptops, mobile phones, TV sets, and other devices in your home or office, All Green Recycling is willing to take and collect them. We will then process them inside our world-class facilities in Southern California. Our primary goal is to make sure that no harmful substances or chemicals from those EOL tech products will be dumped in the landfill areas here or abroad. By scheduling our pickup service, you will be able to enjoy 100% satisfactory services. If you don’t have time to email us or to call our office for pickup, you can find our nearest drop-off area where you can place your IT disposables. When choosing an e-waste service provider, you have to meet specific criteria. There are five core principles that we can guarantee: Professionalism, Expertise, Experience, Commitment, and Dedication. For more important details about us, please feel free to contact us today.